Although there are several thousand species of ants, there are really only a hand-full that we get calls on. The most common ant is the Argentine ant. This ant makes up about 90% of our ant calls, so the following description is how we address the Argentine ant. First our technicians are going to thoroughly treat the exterior of your home. This includes spraying a perimeter around your home, the planters, walkways, fence lines, driveways, pools, jacuzzis, and anywhere else that might be a concern to you. With this thorough exterior treatment there is almost never a need to do the interior. We usually find that within one to three days the ants are completely gone from around the home as well as inside the home. Sometimes there is a need to do an interior treatment, and we do that service with the same thoroughness as our exterior treatment. 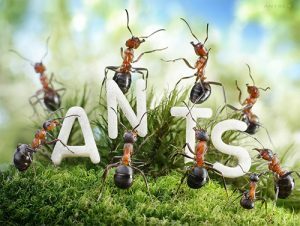 Please note: there are ants out there like the Pharaoh Ant that are usually only a problem on the inside of the structure and if you have this ant we would bait only as spraying would only make the problem worse. Rest assured our experienced technicians will make sure they’re treating for the right pest before we start. 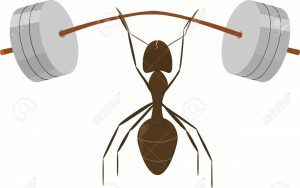 Fun Facts: * An ant can lift up to 50 times its body weight * When ants fight, it is usually to the death! * When foraging, ants leave a pheromone trail so they know where they have been can and can find their way back * Once the queen grows to adulthood, she spends the rest of her life laying eggs! * When the queen of the colony dies, the colony can only survive a few months. Queens are rarely replaced and their workers are not able to reproduce.